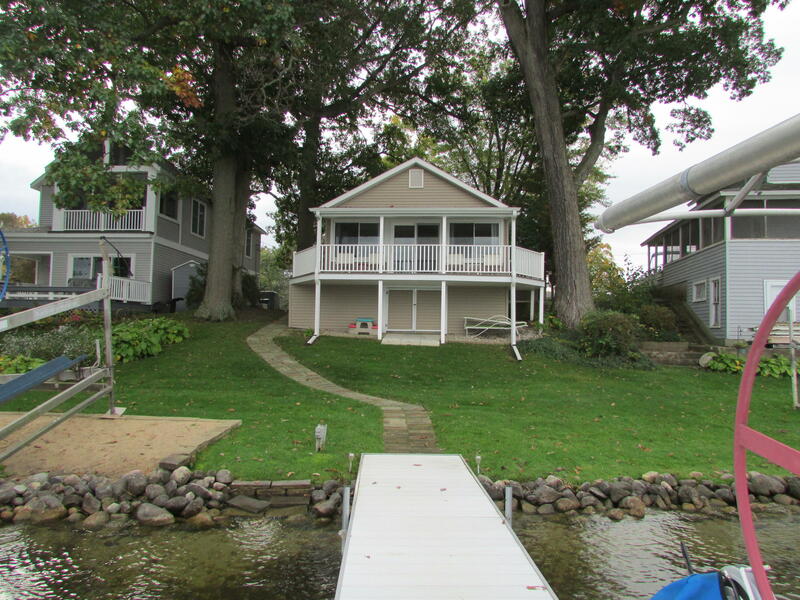 MARBLE LAKE-COLDWATER LAKE CHAIN: This 3 bedroom home overlooks on 74' of waterfront with beautiful views. LEASE INCENTIVE Recently remodeled with newer windows, siding, insulation, furnace, standing seam metal roof, central air & reverse/osmosis system. Storage galore with the storage shed & lakefront storage under the house. Home is on leased land. Owned by licensed realtor. SELLER WILL PAY FOR LEASE FOR NEW BUYER FOR 2 YEARS AT CLOSING (with a full priced offer). current lease is $5900/yr.Lease is paid to expiration. Lease expires 9/15/2019. Owned by licensed realtor. This company makes no warranty or representations about the contents of this data. It is the responsibility of the parties looking at the property to satisfy themselves as to the accuracy of this information. Taxes were obtained from the local assessor and the taxes could change for the buyer after a closed transaction.